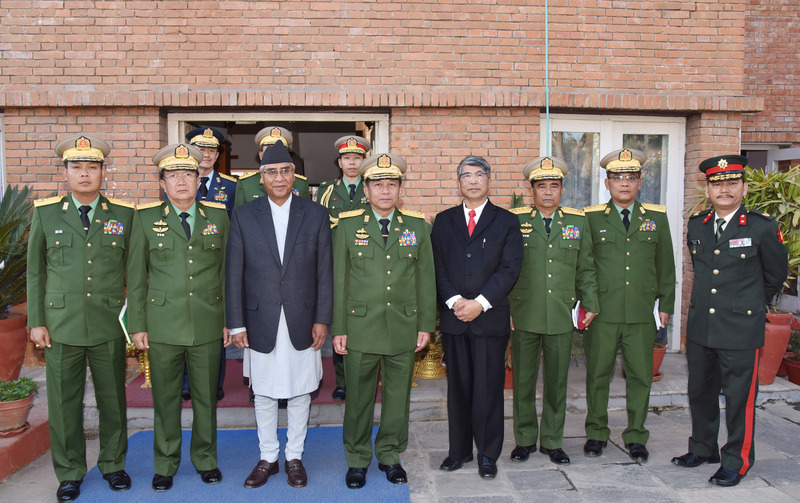 Commander-in-Chief of Defence Services Senior General Min Aung Hlaing who is on a goodwill visit in Nepal met with President of Federal Democratic Republic of Nepal H.E. Mrs. Bidhya Devi Bhandari at the Presidential Office in Kathmandu this evening. 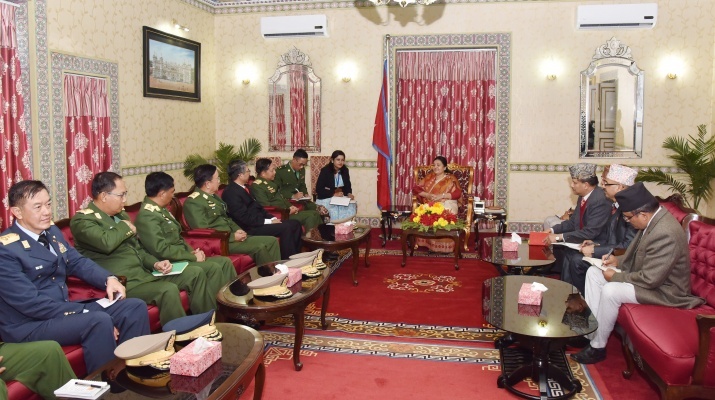 Also present at the meeting together with the Senior General were senior military officers of the Office of the Commander-in-Chief, Myanmar Ambassador to Nepal U Tun Nay Lin and Myanmar Military Attaché (Army, Navy and Air) to India Brig-Gen Thein Zaw. The Nepalese President was accompanied by cabinet members. At the call, the Nepalese President welcomed the goodwill visit led by the Senior General and wished success of the visit. Senior General expressed thanks for the meeting. 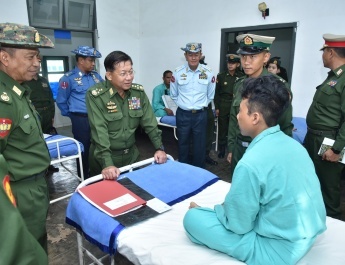 The Senior General said the goodwill visit promotes friendly relations between the two armed forces while cementing the existing friendship between the two countries. During the meeting with the Nepalese Chief of Army Staff, the agreement on enhancing cooperation between the two armed forces reached. Promoting relations and amity between armed forces of the two countries would help improve relations and amity between both countries. Since 2011, Myanmar has started marching on the multi-party democratic path selected by the people. 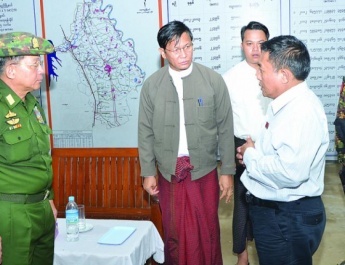 The Tatmadaw was extending a helping hand to it. Having a chance of studying Nepal’s peace making process was beneficial. He expressed special thanks for Nepal’s supportive stance towards Myanmar in the international arena and the smooth condition of the goodwill tour. and the prosperity of Myanmar people. The Senior General said the goodwill visit was successful and expressed his delightedness for promoting relations and friendly ties between the two countries. 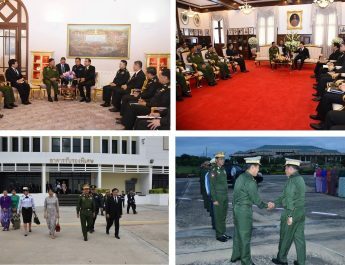 As the Tatmadaw is an organization to defend the State, the Myanmar Tatmadaw is striving for defending Myanmar and citizens at full capacity. He thanked for prayers given for the President and the people of Myanmar. The Senior General presented a commemorative gift to the President of the Federal Democratic Republic of Nepal. In the afternoon, the Senior General held meetings with Prime Minister H.E. Mr. Sher Bahadur of the Federal Democratic Republic of Nepal and Nepalese Minister of Defence Mr. Bhimsen Das Pradham separately. 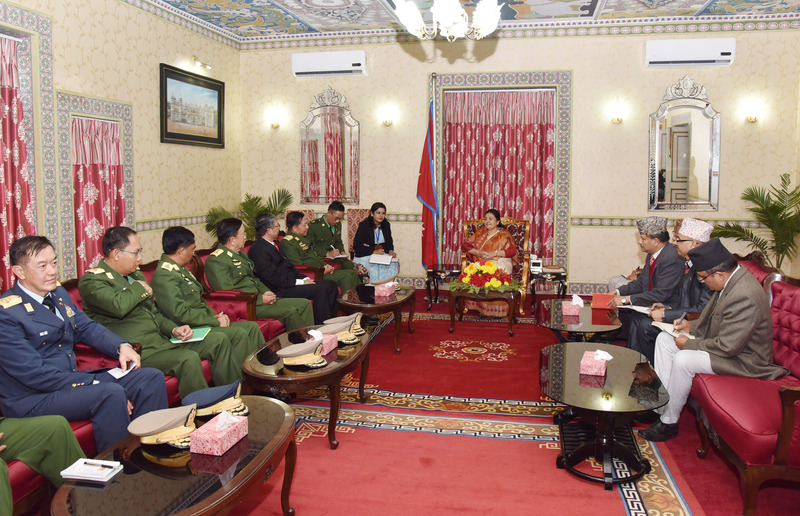 At the meetings, they discussed exchange of visits between armed forces of Myanmar and Nepal at different levels, cooperation in training and sports sectors, progress of internal peace process in Myanmar, endeavours on the way of multi-party democracy the people chose, duty discharging of Nepal in UN peacekeeping troops, and further cementing friendly relations between two armed forces of the two countries. 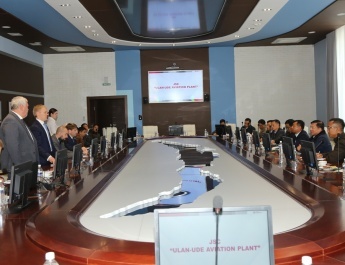 After the meetings, commemorative gifts were exchanged and group photos taken.